Red Hot Plants is a well established distributor of Artificial Plants and Artificial Trees. 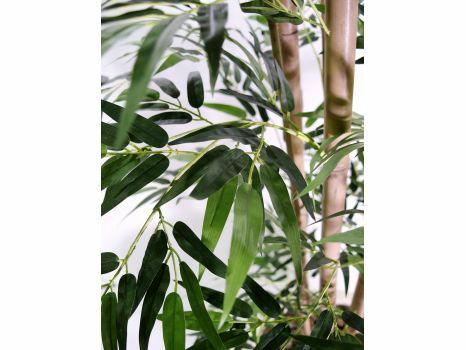 We supply artificial plants all over the UK. All our products are of excellent quality, at a competitive price and with a high standard of service. Many of our products are also suitable for outdoor use. Bulk Discounts. 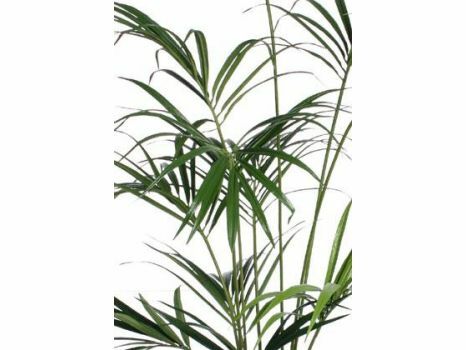 As a major supplier of artificial trees and plants, Red Hot Plants is able to offer very competitive prices to companies wishing to purchase in volume. Contact Helen for details on 01524 851017 or email us your requirements. Delivery required overseas? Please email us what you would like and your address and we will forward a delivery quote on to you. And now you can follow us on Facebook. We would be delighted for you to become a fan or to upload pictures of plants and trees insitu. Also leave comments, chat, have a look at us, were really hoping this will expand so that you can get a better idea of the plants and service we offer with real customer comments, feedback and pictures. Alton Towers, BBC1, BBC4, BBC Good Food Roadshow, Bellway Homes, Best Western Hotels, Ben Sherman, Big Chill Festival, Bluewater Shopping Centre, Bull Ring Shopping Centre, Carpetright, Coloplast, Decathlon, East Midlands Airport, English National Opera, Envirocare, Flatcappers, Jack Wills, Liverpool One, Longleat Safari Park, Loungers Coffee Bars, Low Alpine, Harrods, Harvey Nichols, Heathrow Airport T5, Hilton Group, HMP, Holiday Inns, ITV, Mercury Theatre, Mint Velvet, Moran Hotels, National Theatre of Scotland, Peggy Porschen Cakes, Pimlico Plumbers, Pizza Express, Porcelanosa, Prince of Wales Theatre London, Ralph Lauren, River Island, Royal Albert Hall, Royal Shakespeare Company, Selfridges, Shearings Hotels, Sony Music, Ted Baker, Tiger Bills, Toni & Guy, Trafford Centre, Tussauds Group, Unex Towerlands, United Biscuits, Ustinov College, University of Surrey, Virgin Media, Warwick Castle, Whitbread Group, White Company. We are a family run business and truly appreciate your custom. Reviews and good feedback help our position on Google. If you have been entirely satisfied with your purchase and the service you have received then please leave positive feedback. If rating the delivery time, then please take into consideration any delays that are beyond our control. We endeavor to make your shopping experience with us a pleasant one and should you have any reason to be dissatisfied with either your purchase or the service you have received, then we would appreciate the opportunity to resolve this in a timely and efficient manner. Customer satisfaction is very important to us and we find that a direct personal approach results in a faster resolution that benefits both parties. You can find and rate us on Google and Facebook, the links are at the bottom of all our pages. If you have purchased from us, you can also rate the plant or tree you have bought, this helps other customers decide if the product would be a suitable purchase. I just wanted to thank you for such wonderful service re: our plant order for Warwick Castle. I ordered plants from your company and four other companies and the customer service/speed of delivery from yourselves was by far the best we have see. Many thanks, I hope to use your company again in the near future. The plants arrived (1.00pm). We are very pleased with them, they look almost real. Thank you for your excellent service and delivery, we will definitely use your company for further purchases of artificial plants. I just want to let you know how much I love my artificial box balls. They are amazing. I actually think they look nicer than some of the real ones, with their lovely fresh green and dark tonal variations and little spriggy buds - they'll look like Spring Buxus all year round. What a great product and great service. The plants were delivered, and are now unpacked and installed successfully. They look fantastic! I bought them for a very long hallway that runs the length of my house and they've immediately added character to a very blank space. I'm now inspired to turn it into an Amazonian rainforest experience. Just to say my plants arrived today and they are FANTASTIC! I can't believe how stunning they are and how real they look. Wish I had bought them years ago. Many thanks, I will be recommending Red Hot Plants to all and sundry! Just wanted you to know our customer loved the hedges. Thank you for your help. Just received my Buxus Ball Trees..............thrilled...............they look fab! You wouldn't know they weren't the real thing! Just to let you know we have opened the box of topiary balls and they look fantastic. I am very pleased with them and look forward to putting them in my garden. I wish to congratulate you on the hassle free way you handled my order. The product is first class, it was a pleasure doing business with you. We would like to thank you for a fabulous product and fabulous service. Any opportunity we get we will recommend you. Just a note to say: Excellent service and prompt delivery. The artificial plants were very well packaged to prevent damage. Impressively realistic. A really good product. I'm impressed. I just wanted to send you an email to let you know how thrilled I am with my Bay Trees. They arrived yesterday and I 'potted' them up today. They are gorgeous and look so real it's unbelievable. At last I have my Rose Trees planted just where I want them and I'm writing to let you know how pleased I am with them. Our Red Acer arrived yesterday, all safe and sound. It's just perfect for the place we planned for it, and it's so natural and unusual in our oriental themed entrance hall. Many thanks we look forward to receiving our palm soon. Our plant and planter came last week, it looks great, especially now we have it back lit. Thanks for your help and guidance and we will be back soon. The plant is here! Lovely! The plants arrived today. We will be ordering another 2. Hope you have stock! Just a note to say our plant arrived today and it looks great. Quick delivery, came before estimated delivery. Arrived well packaged, with informative suggestions on planting. Customer satisfaction seems to be important, and that is always appreciated. I am extremely pleased with my purchase, good value and great service! I would definitely recommend!" 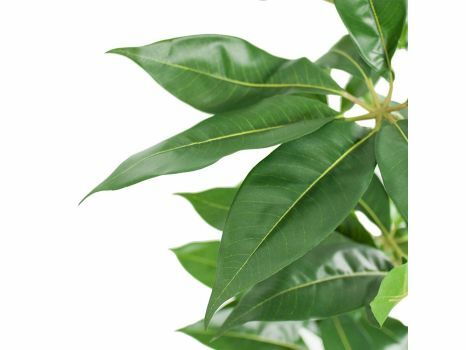 The artificial bay laurel trees are exactly as described, they looks so real. Really pleased I ordered them. Would highly recommend. Thank you! I was a bit apprehensive about this large artificial orchid..... Would it look very fake...? However, it arrived earlier than promised, was very well packaged, and was not only completely undamaged, but was in fact a beautiful flower plant in a fine vase. Excellent tree and so real looking. Displayed in our school reception area. Thank you. Good morning, just a note to say our Tree arrived yesterday, just a day after ordering it! Excellent service! The tree looks very realistic and my wife and myself are very pleased with it. Just to let you know our artificial trees arrived yesterday and we are delighted with them. Excellent service! Just to let you know that the Palm arrived safely with our client. She absolutely LOVES it! So I think she's ordering another next week! Thanks again for all your help, will be in touch. I have now put in another order. I want to thank Helen who has been very helpful indeed in our purchase of the Rosemary spiral plants. She has really provided a service above and beyond anything one would expect. The Red Aralia Trees arrived this morning and I fitted the plant this afternoon, your photographs don't do it justice it really is an excellent piece of work, my wife thought it was real when she came home tonight. Many Thanks for all your help and kind regards Peter. Thank you for your help with this order. We have received the boxwood balls and they are just what we wanted. They are very realistic and just the right size. After much online research my mother and I both ordered trees from Red Hot Plants - I got a Ficus tree and she got an Olive tree. We decided to have them set into their pots which was worth the extra cost. They are both absolutely stunning and so lifelike you feel you need to water them - well worth the extra money. Excellent customer service. I had a few questions and they emailed back promptly. Thank you Red Hot Plants!